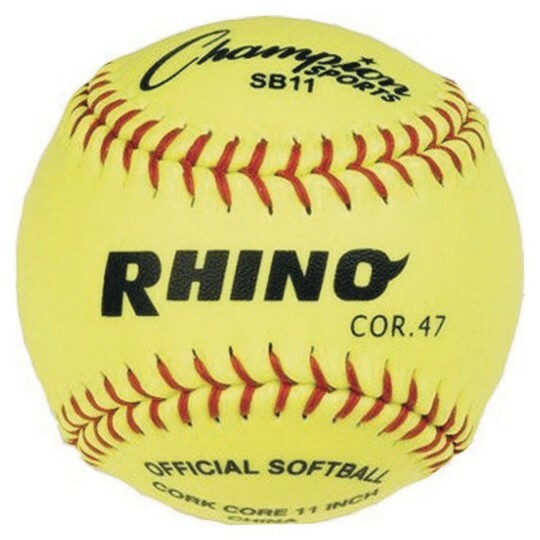 Rhino® fast pitch softball with a yellow synthetic leather cover, .47 COR cork center, medium compression with raised seams. 6-1/2 ounces. 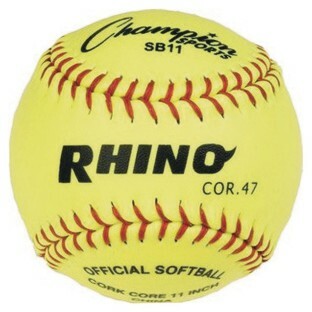 11" circumference.